Elsebeth Studio Rugs | Wake up and smell the coffee! This tapestry beautifully captures the ambiance of an exclusive café in the center of Kfar-Saba. The original design, the mouth-watering colors, the comfy-looking swirly cushions and chocolate-like squares, all combine to make you want to stay, relax and enjoy. 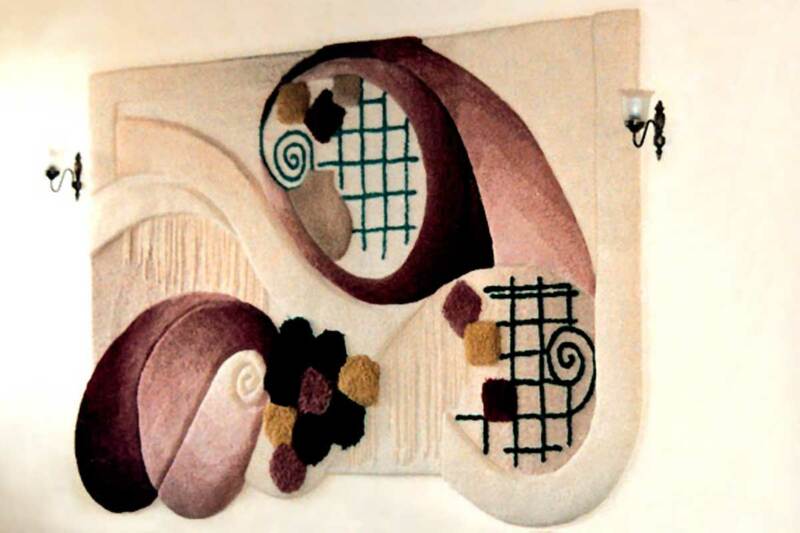 This work required four different tufting levels, and vertical wool strings added as a final touch.